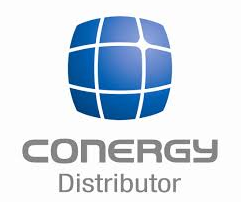 Conergy was founded in 1998 in Germany and, within this relatively short period, has become one of the leading companies in the green energy industry. Active in more than 40 countries, Conergy has supervised the planning and construction of hundreds of solar plants worldwide, with a total output of more than 600 megawatts. Conergy’s wide range of photovoltaic products can give sustainable power to any kind of facility, from small households to multi-megawatt plants, always ensuring the best quality that the “Made in Germany” label can provide. 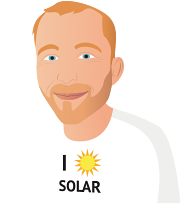 So, no matter what your needs are, Conergy can offer you and your business an extensive lineup of products, from solar panels to solar storage solutions, from inverters to a wide array of mounting systems. Furthermore, Conergy offers a variety of services, either as part of a package or simply on a stand-alone basis, always making sure that every step of the process, from design to installation and operations & maintenance is managed with professionalism and care. Survived a massive hail storm a few months back. All good. Serial numbers suggest they were actually constructed in Germany, not Chinese imitations. 230w productivity appears right. effected a bit by dust. Bloody expensive brand/type, so I dont really know if they are value for money until they die in the future! Conergy sub-contract installation in Aus and unfortunately the quality of the sub-contractors in terms of installation scheduling and professionalism really has let the brand down. Perhaps this is not isolated to the solar panel business but more generally. Overall Conergy products are very good. How would I know? I have nothing to compare it with. How can I tell if they should be working better than they are? I can't even ask other users because everyone I know has a different configuration. We need some sort of reference point to compare with. The panels are producing their specified output without any problems after 20 months in service. Was advised that the panels would produce $380 per quarter of electricity credits. This hasn't been the case.